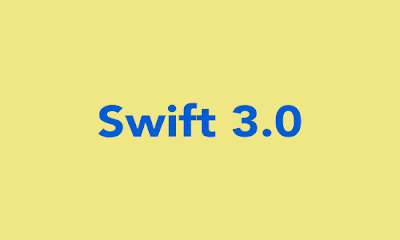 Swift 3.0 is open-source and the major change released! The Swift 3.0 is huge major changes , improvement and refinement to the core language and Standard library. Swift 3.0 is the fast , safe and expressive. Removing var from Function Parameters : the Var is removed from reference function parameters. now only passing the name and its type in Function of reference. Removing explicit use of let from Function Parameters : the let is removed from reference function parameters. Same as above function. Declare variables in 'Case' labels with multiple patterns : Before you are not define multiple label pattern in single case. 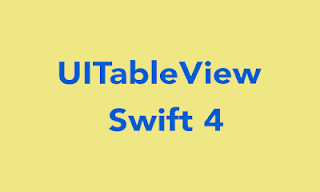 You have to define label individual in individual Case, But now Swift 3.0/Swift 2.2 you are define multiple label in single Case. Remove C-Style for-loops conditions and increment : The for loop with condition and increment or decrement is removed. Now only for-in loop is used in Swift. All function parameters have labels and "_" with at first of function : An underscore ( _ ) use before the first parameter , The caller won't use this parameter. Omit needless word from function : Every word or function name have salient information in it. in Swift 3.0 all the salient word are removed. Now : As above function Element which is salient at call site. So removed from Swift function. More Examples : UIColor in which color is omit from suffix, maxElement in which Element is omit , UIDevice method of currentDevice in which Device is omit, and Array inset method in which Index is omit from atIndex. 1 ) the generator is renamed to iterator across all APIs. 2) Memory is renamed to Pointee. @discardableResult : This is used for when you don't want to use the return type value of the function. Before the function adding the @discardableResult, its means the function is discardable. Grand Central Dispatch : remove the boilerplate code.